Monday: 50 mins “easy” with East Van Run Crew, the group may have gotten divided and the part I was in did get lost, but we found everyone eventually! Wednesday: 40 mins “easy” with the last 3 minutes as 30 seconds hard, 30 seconds easy, completed with the Sport Chek Robson Training Club. 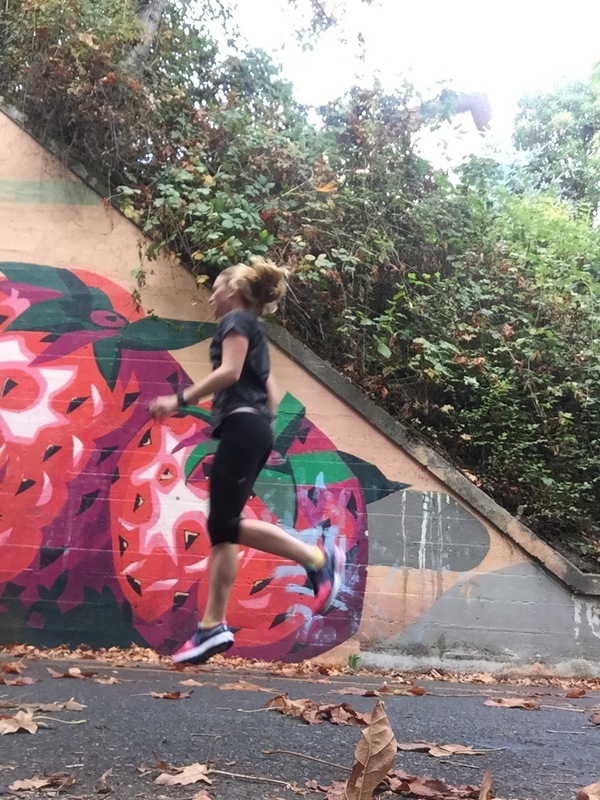 Thursday: One of my final pre-marathon workouts! 15 minute warm-up followed by 15 minutes @ marathon pace, 8 minutes @ 10 seconds faster than marathon pace, 3 x 2 mins @ 15-20 seconds faster than marathon pace and a 10 minute cool-down. Friday: 40 mins “easy”, this is the earliest I have run in a while, I left the house at 6:45am to get the run in before my 8:30am start time at work. Saturday: Another work-out, definitely a lot more relaxed than they normally are! 15 mins “easy”, 20 mins @ marathon pace, 3 x 3 mins @ 10k pace (my favourite part), 15 mins “easy”. I did this on the Galloping Goose Trail, one of my favourite places to run in Victoria. Sunday: 60 mins “easy”, I went along Dallas Rd which is near the end of the course for next weekends’ marathon. I will share how my taper is going midweek! Good luck to everyone racing next weekend! Sounds like a full week of running nonetheless! I’m taking it easy on the strength training this week too… in favour of easy runs, yoga and walking. It’s kind of a nice break!